Stiffens your cap without starch. 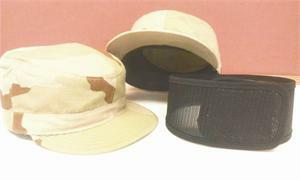 Velcro closure. Simply fit the "cheater" into your cap, adjust it to your size with the velcro fasteners. One size fits most.